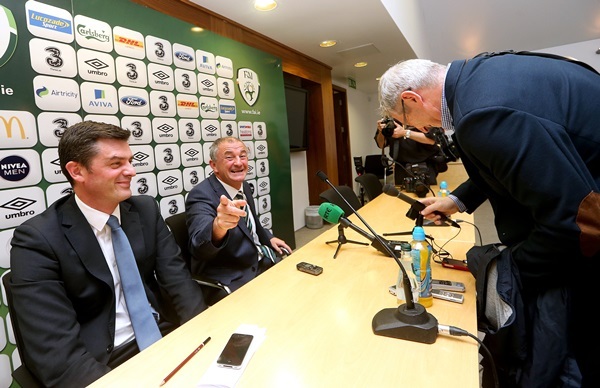 They were nearly at each other’s throats last night, but having had a night’s sleep after THAT interview, Tony O’Donoghue and Noel King were the best of friends again today. 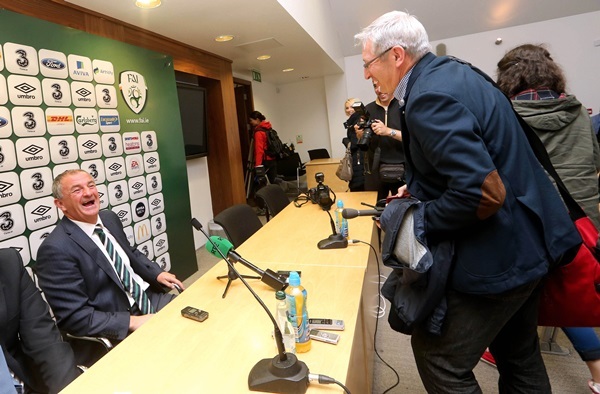 If you didn’t happen to catch the interview after the game last night, King took issue with some of O’Donoghue’s questions about the Irish approach and felt that he was denigrating the players when questioning the wisdom of playing Anthony Stokes and Kevin Doyle in wide positions. 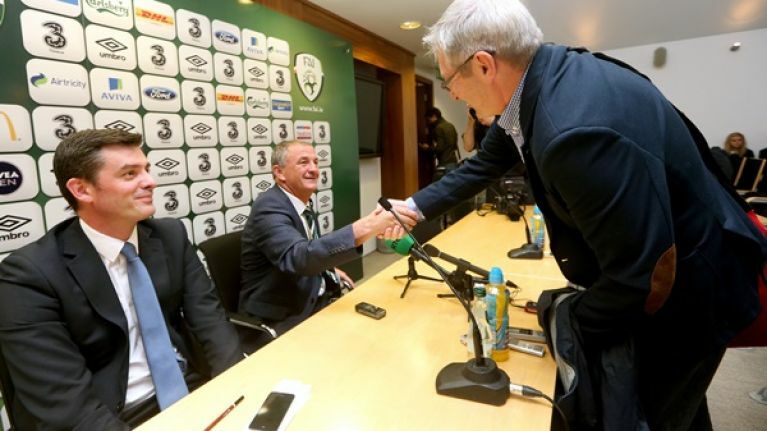 It was an incredibly tense and uncomfortable interview and King was criticised afterwards by the RTE panel, who accused him of being immature and of an over the top reaction to a fair line of questioning by O’Donoghue. 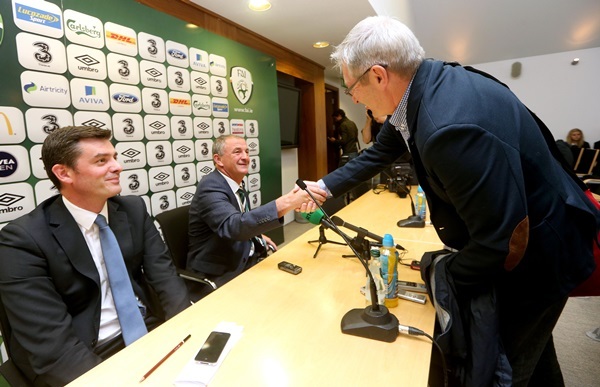 Darragh Maloney tried to stand up for King at the time and the interim Irish manager received a fair degree of support on Twitter, where opinion was divided, with many taking King’s side and others agreeing with the stance of Giles, Sadlier and Dunphy in the RTE studio. 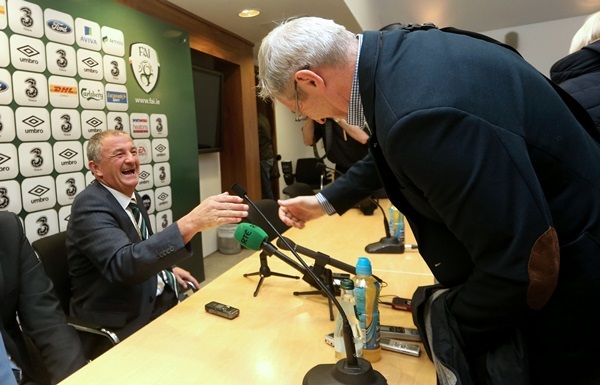 King has since admitted that he ‘lost the plot’ a little but there were no hard feelings between himself and O’Donoghue this morning, with the pair sharing a laugh and a handshake at an FAI press conference.